to the fantastic colorful and breathtaking Carnival in Rethymno. Year after year we celebrate our Carnival like no other town in Greece can do. Parties and masquerades all over the town for three weeks. 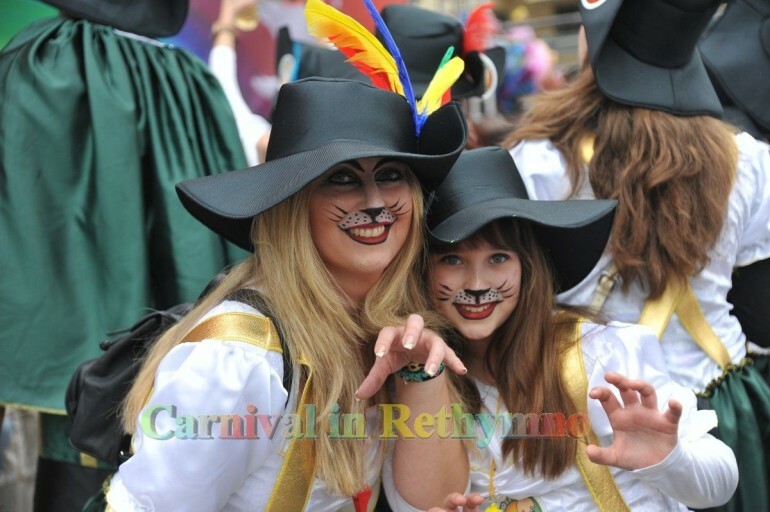 Traditional and modern with music and theatre, street parades and children’s events. Our “Treasure Hunt” is legend. So is our Grand Parade with many floats and thousands of happy paraders. Here you’ll find information about an event everybody enjoys, the Carnival in Rethymnon, with lots of pictures, information, comments, music and links to the teams.